I still remember the days when I was a fresh student in the first days of fall and all I could think about was what outfit I’m going to wear next day at school. Our family never had a lot, yet we were always taken care of, even if that was – at times – extremely modest. I found myself dreaming daily of all kinds of outfits and expressing myself in so many ways. But it always seemed I was caught between a rock and a hard place: what my wardrobe looked like and what the kids at school were wearing. That was the first time I started to feel torn apart between what I wanted to wear and what I thought was acceptable and “safe” to wear. We all have moments when we want to fit in, to be liked and approved, and that’s when we let insecurities get the best of us. It starts small, with maybe “toning down” the color of your lipstick. Then opting for a less tight skirt. We trade the stiletto heels for a safer flat, or the opposite – we torture ourselves in office wear when all we want is to wear some cute Converse with a fun floral dress. Our environment also doesn’t always help! We’re constantly bombarded with rules and opinions about how we should look like and what beauty is. No matter how confident and secure you are about yourself, I think it’s impossible to not have your self image sabotaged by doubt at least once in your life by ridiculous standards that push you into feeling “less than a perfect 10“. So today I decided to be open and vulnerable again and talk about my fashion fears and insecurities. Something changed in my world when I realized that what I desire most in life is to live a life that is my own, a life where I’m being the most authentic self and being celebrated for who I am, in my entirety. I always appreciate a good advice and following trends can be so much fun and excitement, because there’s always something new to discover and learn. The tricky part is discerning between what and who I truly am, and what is being pushed upon me in manipulating and deceiving ways. When I choose an item to wear or when I try on a new makeup trend, I want it to be because I genuinely love it. Not because I was made to feel insecure, like I’m falling behind, or because someone needs to find me attractive. Being appreciated and like I’m on the right track can feel so comforting and pleasurable, and I’m extremely thankful for all the support I get! I really couldn’t make it so far without it. But I want to do these things for myself first, not for outside validation. I want to feel like I don’t have to suffer or sacrifice my true self in order to be loved. One of my biggest fashion fears EVER was wearing a midi skirt. Why? Because I have short legs, and as much as I would like to be all “I can wear whatever and pull it off” – I’m not. I have to work with what I have. Therefore, I’ve been avoiding midi skirts for the majority of my life because I don’t want to look like my whole body is being dragged down or like I have stubby ankles (which can all be “side effects” of wearing a midi skirt). I knew I’m going to get some snarky remarks from a few people but I took the chance. And in the moment I dressed this skirt, I felt the amazing power of being my true self. All of the sudden, it didn’t matter anymore. All the others times I would’ve given into my doubts and ran to change into something totally in my comfort zone. But not this time! This time I chose not to hurt myself by playing small. And as a matter a fact, I chose to also not allow anyone else to hurt me either by valuing their opinion more than my own judgement and desire. I have stepped outside my comfort zone enough to know that, yes, the world does fall apart, but not in the way that you fear. Going through difficult times, loss, career struggles, heartbreaks and break-ups, changes in our appearance – can all erode our sense of self-worth and the best way to regain our confidence is to surround ourselves with positivity. I must say… Another thing that gave me courage to write about my fashion fears was accidentally stumbling across this initiative from Dia&Co called Try Day Friday. 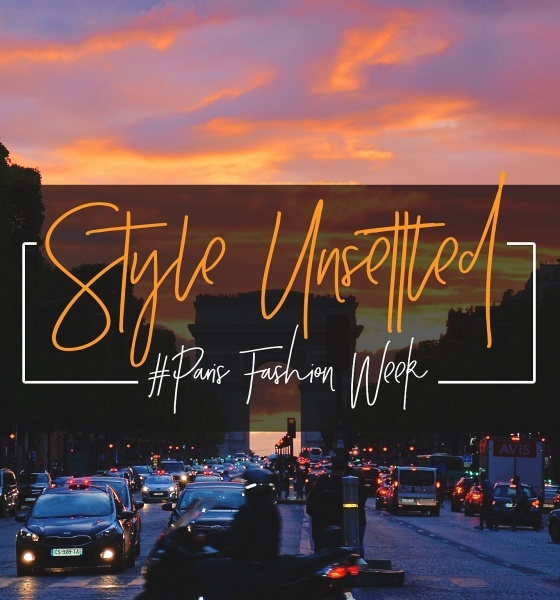 Even though they focus on plus size clothing, their mission resonated with me because in my opinion style is more than just the clothes we wear or the shape of our body. loved this midi skirt on you! I guess one of the advantages in high school for me was that we had to wear uniforms and was the same the thing from 1st grade to 9th unlike here in the states where students don’t face that dilemma. Reading your post I didn’t notice anything towards men but I assumed your idea of fashion struggles was aimed at either gender and I have gone through those struggles myself, though I imagine that being a woman is harder on that topic. I recall talking to one of my female friends couple weeks ago that girls have so much options when it comes to clothing and they should take advantage of that while for guys is the same boring pair of jeans, shirt and jacket and shoes all the time. I have tried to vary my style from very to semi formal to going crazy gothic fashion trend to just casual nowadays so yes, I agree on a major level with your post, embrace it and try to be the happiest you can and just wear what makes you feel comfortable. I had to wear uniforms in primary school as well (from the 1st grade to the forth) and I hated it terribly because I always loved expressing myself through clothes and I desired to have that freedom. To me there’s nothing that kills identity and creativity more than uniforms. Oh I can totally imagine that it is hard for men as well, as there is pressure on them too. And I totally agree with the limited options in men’s fashion. Especially when you add rules and restrictions on top of that, like for example, a man can’t wear certain colors – which makes everything that much more difficult. Girls have so many options and so many ways of expressing themselves, while guys are in the same style of clothes 24/7. Not that they SHOULD care about it, but maybe they really do? It’s funny because my style varied insanely too throughout the years – yes, including the gothic style. I used to have that style when I was in highschool. And I was listening to Theatre of Tragedy. 😊 What made me get out of it was when I realized that it started acting as a “uniform” too, a different type of uniform, but yet… still a uniform. And I hated jumping from one box to another. That outfit looks absolutely stunning! Love the look, the midi skirt is timeless!